Two Historic Pots reduced by 40%! We have just received a request from the Consignor to reduce the price of these two pots by 40%. Don't miss this tremendous opportunity to purchase these pots at a very reasonable price! These are both very desirable pots. 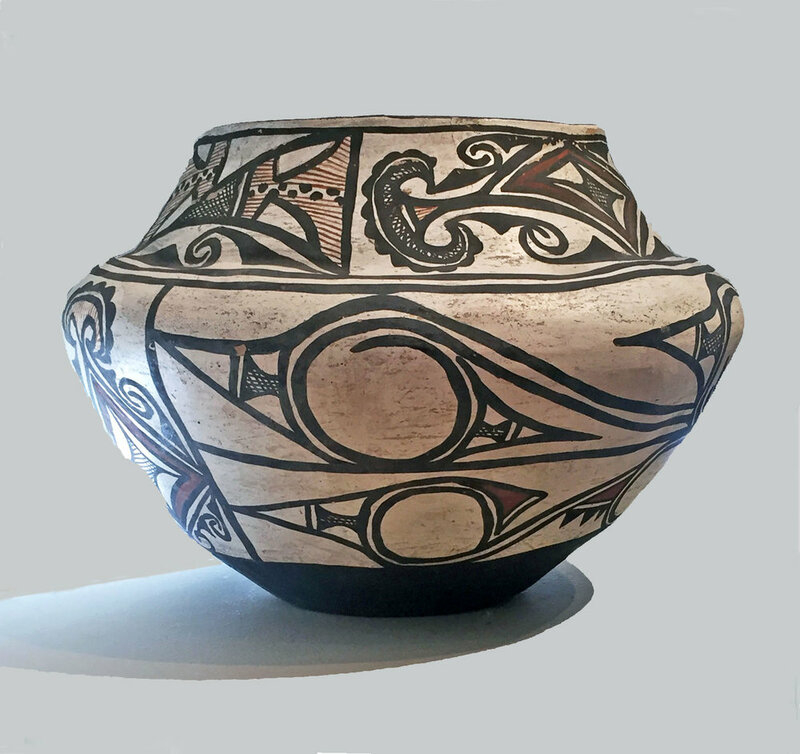 Zuni polychrome jar, circa 1875. 12" diameter x 9" high.